● Custer started fourth, finished 11th. ● Moved up to third with a good jump at the start, getting by No. 3 qualifier Brandon Jones by turn one and held position through the entire stage thereafter. ● Suffered early contact to his right-rear quarterpanel on a lap-five restart from Elliott Sadler that didn’t turn out to be an issue for the remainder of the stage. ● Pitted from third place with three laps to go in the stage for four tires, fuel and to pull out the right-rear quarterpanel. ● Resumed 11th and finished the stage in that position. ● Custer started third, finished fourth and earned seven bonus points. ● Another good jump at the start of the stage and quickly settled in behind leader Austin Cindric and second-place Matt Tifft while holding off fourth-place Christopher Bell. ●Shuffled back to fifth on a restart with seven laps to go in the stage as Bell and Daniel Hemric got by for third and fourth, respectively. ● Custer regained fourth place with a pass of Hemric with less than two laps to go in the stage. ● Pitted for four tires and fuel before the start of the final stage and was fourth off pit road among the cars that pitted. ● Custer started seventh, finished seventh. ● Moved up to sixth after the opening lap of the stage and held that position for a short time before dropping back to seventh one-third of the way through the stage, then back up to sixth midway through the stage and kept the pressure on Justin Allgaier for fifth. ● Custer tangled with Allgaier on lap 59 and briefly went off course and back on again, rejoining the race in ninth place. ● The caution flag flew one lap later with several cars bunched up ahead of Custer as a result of a blown tire by Tyler Reddick, dropping Custer to 10th. ● Pitted during the caution for four tires and fuel and restarted 12th with 11 laps to go. ● Climbed back into the top-10 with 10 laps to go after leader Bell spins and drops to the back of the field, then up to eighth on the next lap. ● Custer dropped a spot on the lap-69 restart to ninth place, but then regained the position and one more before the checkered flag flew for his second road-course top-10 in as many weeks. 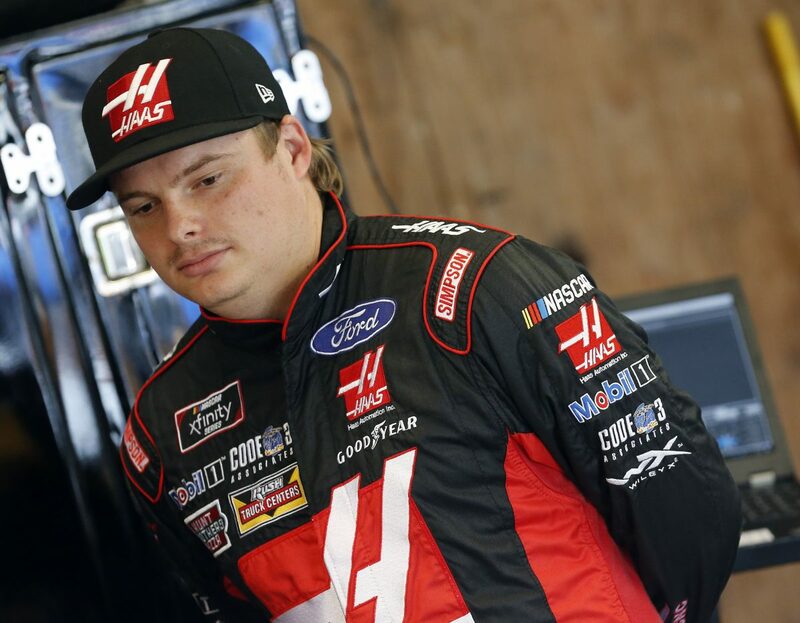 ● This marks Custer’s 17th top-10 of the season and first at Mid-Ohio. ● Custer earned seven bonus points. ● Six cautions slowed the race for 18 laps. ● Only 29 of the 40 drivers finished on the lead lap. ● Justin Allgaier won the Rock N Roll Tequila 170 to score his eighth career Xfinity Series victory, third of the season and first at Mid-Ohio. His margin of victory over second-place Austin Cindric was 2.095 seconds.